Join us September 17-18 in Chicago! In-home selling is not for the feint of heart. Each lead is precious. And every potential client deserves a professionally delivered presentation before they buy. That is why we have assembled the home improvement industry’s most powerful lineup of sales and sales-motivation speakers — all in one place — The Extreme Sales Summit 2014! Powered by Professional Remodeler magazine and EBA PRIME, The Extreme Sales Summit is the only conference devoted entirely to home improvement sales. If you are in the business of selling home improvements, this conference will provide new perspectives AND new energy. 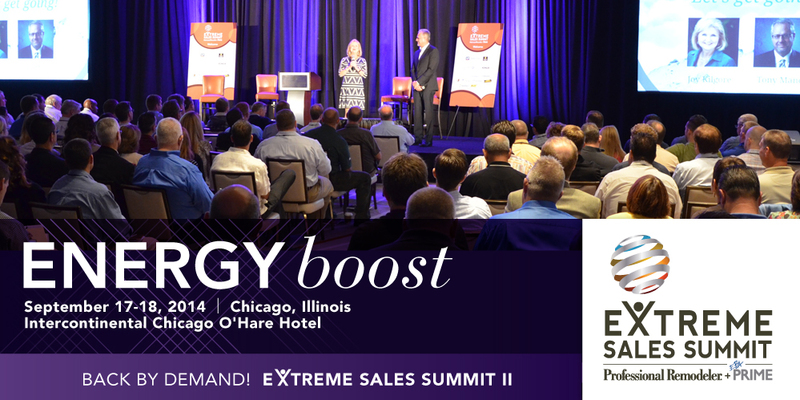 Presidents and owners, bring your sales managers and sales team with you to The Extreme Sales Summit for a much needed Energy Boost! 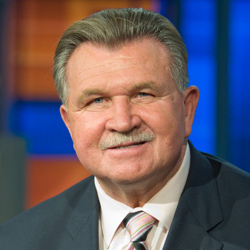 ESS 2014 attendees will gain insight from the legendary Mike Ditka. A Pro Football Hall of Fame player and Super Bowl-winning coach, Ditka joined ESPN as an NFL analyst in 2004. With a combined 26 years of playing (12) and head coaching (14) experience, Ditka is a key weekly contributor to Monday Night Countdown, Monday Quarterback on ESPNEWS, The NFL Huddle on ESPN Radio and SportsCenter. Ditka also previously worked as both an analyst and commentator at CBS and NBC. Ditka continues to generously devote himself to varied charitable endeavors, including numerous anti-drug and prevention campaigns. He founded The Mike Ditka Foundation in 1989 to raise funds for Misericordia, a residential facility for developmentally disabled children, and also, for pediatric AIDS research programs. Since his days with the Chicago Bears, Mike Ditka has opened Iron Mike’s Grille, located in the Tremont Hotel in Chicago. His favorite hobby remains golf to which he plays to a six handicap. He also has a collection of antique cars and a Harley Davidson. Mike is married (Diana) and they reside in New Orleans. They have four children; Mike, Mark , Megan, and Matthew. REGISTRATION FEE: $299 for the first person, $249 for each additional person from the same company.